Tahini is a sesame seed paste and is popular in Middle Eastern cooking. You’ll find it in many grocery stores or at health food shops. 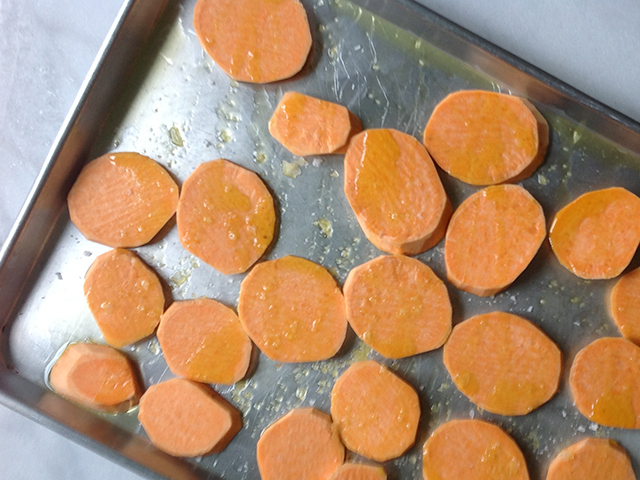 Place the sliced sweet potatoes onto a baking sheet. 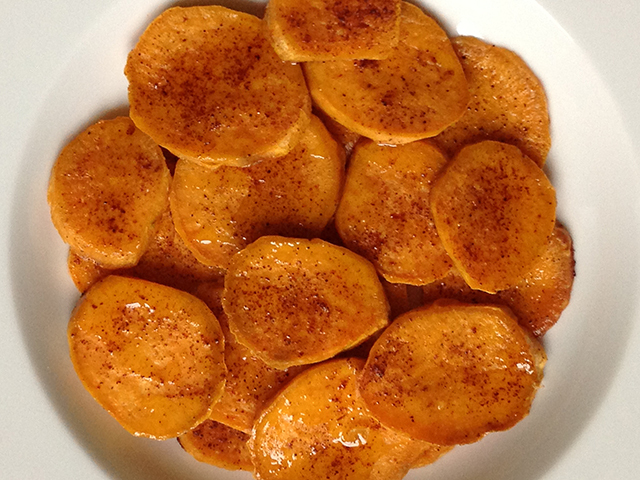 Drizzle the olive oil over the sweet potatoes, season with salt and toss to mix. Roast in the oven until cooked through and slightly browned. During the last ten minutes or so, toss with the chile powder, this gives the chile a slightly toasted flavor without the risk of it burning. 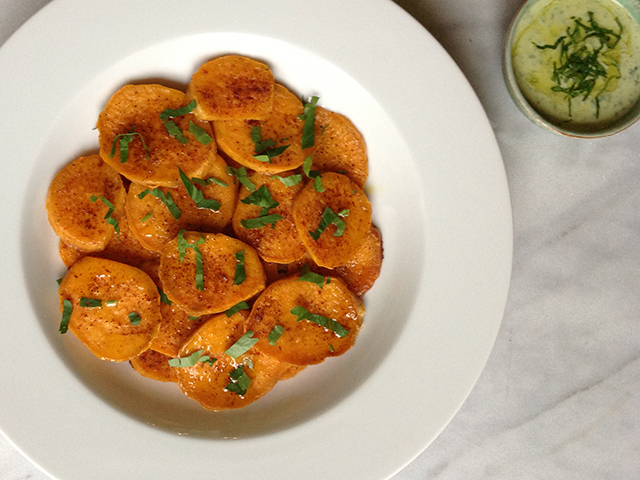 While the sweet potatoes are roasting, make the sauce. 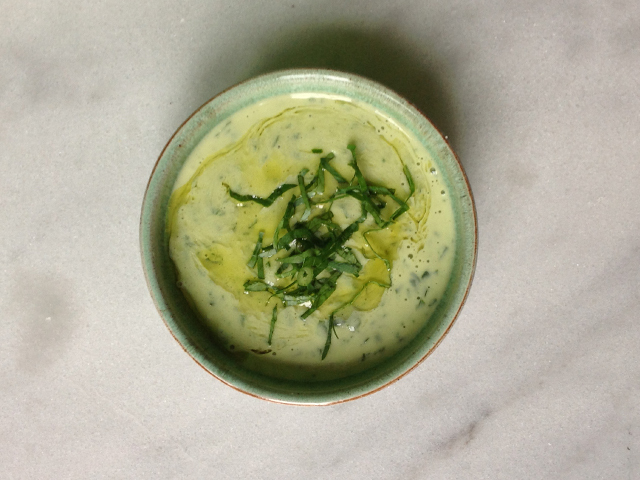 In the small bowl of a food processor, mix the parsley and garlic together. Add in the remaining ingredients and pulse until well blended. Season with salt and place in a serving dish. Serve alongside the roasted sweet potatoes.